Muslims face the Kaaba five times a day in prayer, no matter where they are in the world. 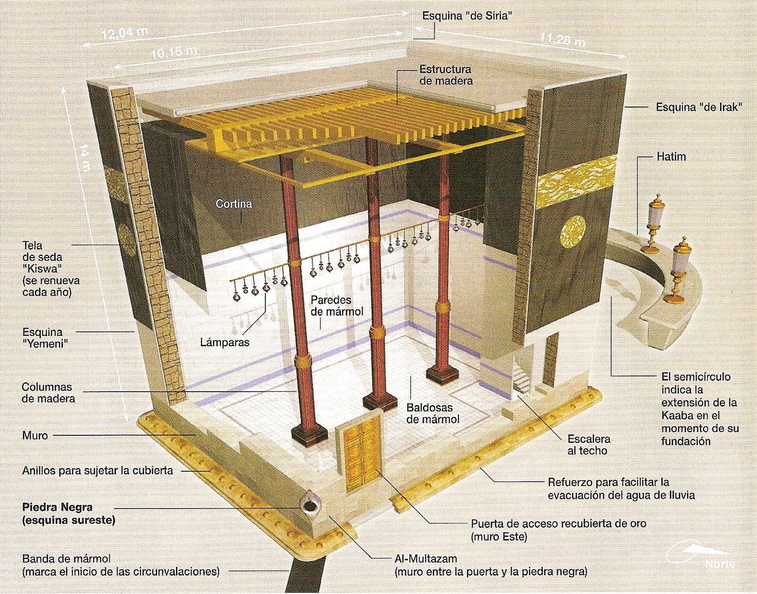 Hundreds of thousands of people turn towards this immense cube (which is what “Kaaba” means). Did you know that it isn’t solid? It has a place to worship inside. 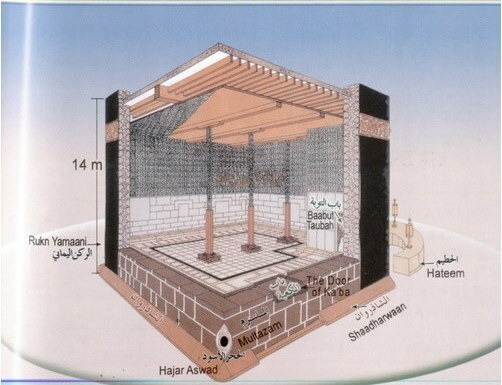 The Kaaba is a mosque, a holy house. 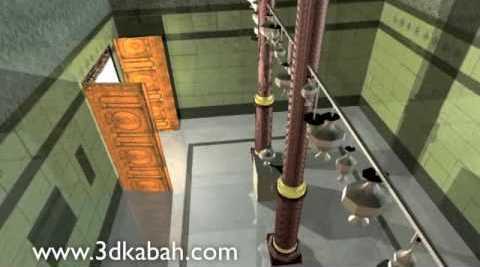 It is said to have been originally built by Adam and Eve, then restored by Abraham and Ishmael, as the very first place to worship the One God, who Muslims call Allah. The interior is 13 m (43 feet) high, and the sides are about 10.15 m (33.3 ft) by 8.24 m (27 ft). There are no windows but there are lanterns. 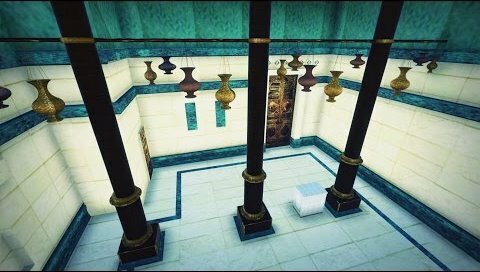 These are screenshots from a 3D animation of the interior. This is a top-down map of it. 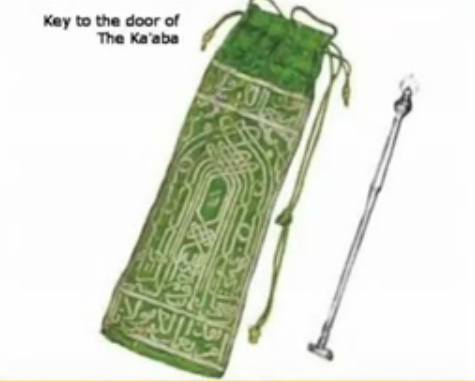 The Kaaba used to be opened twice a week for anyone to pray inside. But now it is opened just twice a year, and then for only dignitaries and exclusive guests, who enter to ceremonially clean it. The door is 2.13 m (7 feet) above ground. There is a wooden staircase on wheels that is used to reach the door. 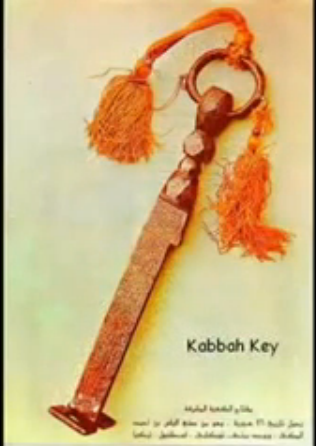 The key is kept by one tribe. Here are pictures of the key. 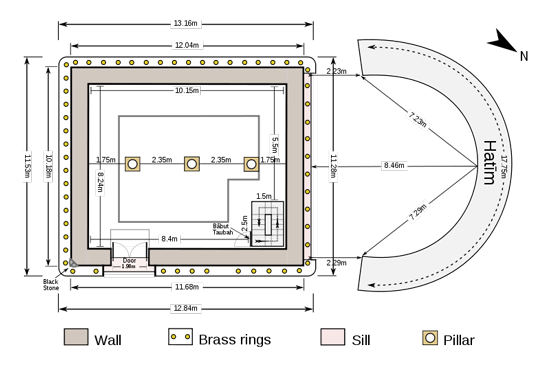 This is all very interesting, but I think this is the most interesting part– if you are inside the Kaaba, what direction do you pray? You are in the center of the center of worship. Now try this. Visualize that you are inside the Kaaba every time you pray, no matter where you are, no matter what faith tradition you practice. You are in the epicenter. You are in the eye of the storm. You are in the heart of the Creator. You are in the first holy place ever made by human hands. Hold that feeling in your heart. You don’t have to face any direction. Your prayers go directly to God, right where you are. 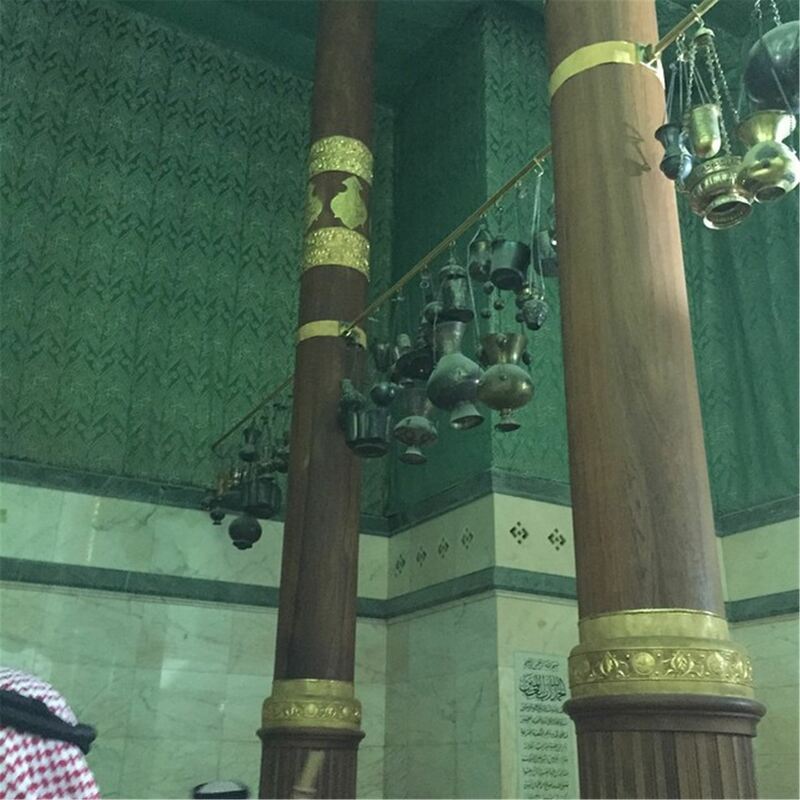 This entry was posted in Religious and spiritual and tagged center, direction, God inside, holy, house of God, Kaaba, mosque, Muslim, prayer, shrine, Sufi, Temple, worship. Bookmark the permalink.